Minister of Women and Social Development, Senator Aisha Alhassan, also known as Mama Taraba, resigned from the Cabinet of President Muhammadu Buhari and the ruling All Progressives Congress. 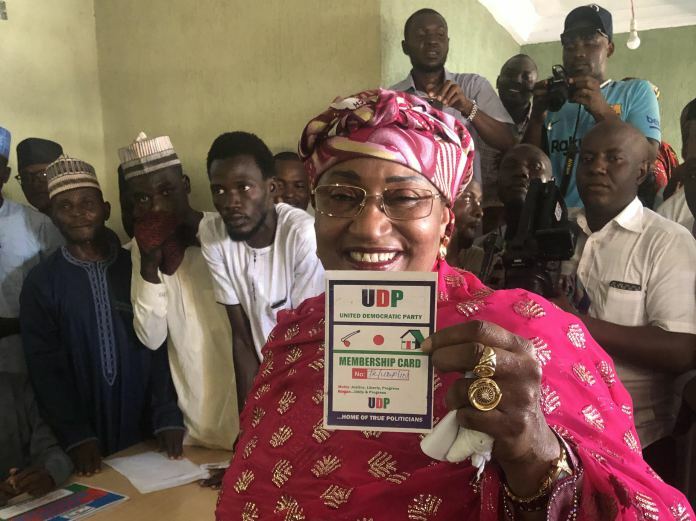 Alhassan tipped her resignation on her disqualification when examining the 2019 Taraba state intergovernmental competition from the APC National Labor Commission. SHe said it was pointless without any viable or genuine reason. "If I'm not good enough to challenge the elections in APC, then I feel I'm also not able to remain a minister in the APC government," he said. He thanked the president, the department's executives and other party members for the opportunity she was given to serve.